This is the slow cooker that I use and been using for the past 2 years or so. I really like it. This is my second one in 6 years – my mother-in-law gave me my very first one for Christmas (it was an actual Crock-Pot™). I had to stop using it whenever I was not going to be around to tend to it because it got hotter than it was supposed to (and me being new to it, I didn’t know until the warranty was over). 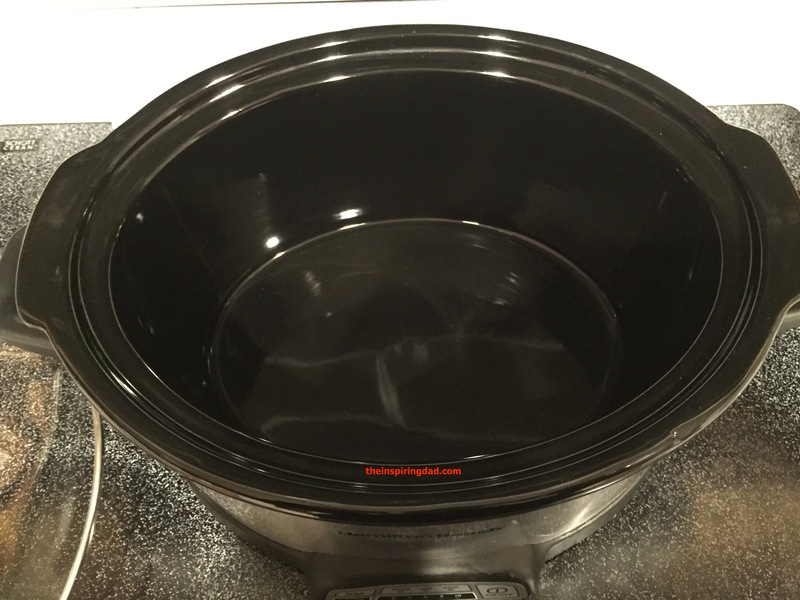 First, lets talk about Slow Cookers – if you’ve never used one, I’m telling you that you need to go out and get yourself one – even if it’s a small cheaper one and experiment with it. You’re able to put all the ingredients into one pot (crock), turn it on and forget it until it’s done. You don’t have to monitor it, you can keep them on while you’re at work so you can have a hot meal ready and waiting to be served when you get home. There used to be fear about leaving them alone while they’re cooking, but with today’s technology, that’s a thing of the past. I’m going to continue putting up slow cooker recipes and hopefully they’ll inspire you! So now I have the Hamilton Beach Programmable 7 Quart Slow Cooker #33473™. Like I said, I really like it and it does the job very well. It is my favorite slow cooker. I looked around and this is the one I chose because of the features it has. 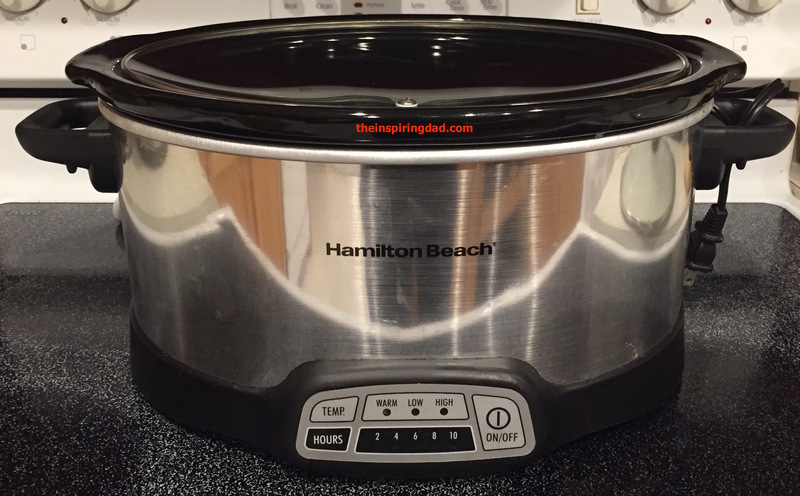 I love that it’s programmable, up to 10 hours of cooking time, will switch to warm mode after the cooking time is up (and will stay in warm mode up to a combined 14 hours) and t’s very easy to clean the outside of the slow cooker. The crock is dishwasher safe. One of the cons about the Hamilton Beach™ slow cooker (33473) is the crock doesn’t have a pour grove and it makes a mess when pouring the contents into other containers. Other than that, it’s my favorite slow cooker! I would recommend this slow cooker to anybody that’s looking for a new slow cooker whether you’re a beginner or an expert at using them! I was just looking at Hamilton Beach’s site and came across this Set & Forget® 6 Qt. Programmable Slow Cooker (33863) but I doubt I can convince my wife that we need it. I might be able to convince her that we need this Eclectrics® Sterling All-Metal Stand Mixer (63220) OH YEAH!